The great taste brings 'em back! 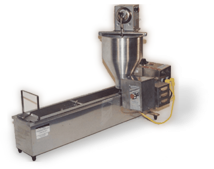 Jan 31, 2018 Notice: Please click here for important information if you are considering the purchase of foreign-made mini donut equipment. What's NEW at Lil' Orbits? 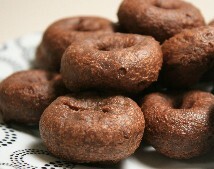 Lil' Orbits is more than just mini donuts - click here for more information on making large donuts. We've also added a few new delicious mixes to our already famous line. Why Invest in Lil' Orbits? Our mini-donut and pancake & crepe machines are proven money-makers, made in America and now operated profitably in over 100 countries around the globe. For more information on joining the Lil' Orbits family of operators worldwide, click on the links above. Fresh, Hot Mini-Donuts have always been a popular food item at carnivals, festivals, fairs and many other outdoor seasonal events. Our customers often tell us how much fun it is to hear their customers reminisce about eating mini-donuts when they were kids. The Lil' Orbits Uni-matic II pancake & crepe machine can help you add new, easy-to-prepare items to your current menu, and also improve product consistency. The Uni-Matic will cook anything you can cook on a griddle, without oil or grease. In addition to seasonal, outdoor events, there are hundreds of other places where our popular automated equipment can be very profitable. 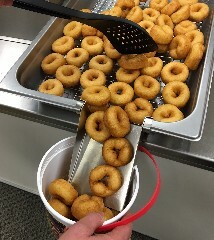 Here are just a few examples of where a well-placed mini-donut or pancake & crepe machine can help you become your own boss or expand your current business: coffee shops, bakeries, mall kiosks, storefronts (indoor or outdoor), sports arenas, food courts, entertainment complexes, high school sports, fundraising and much much more! Whether you want to start a small home based business selling from a portable doughnut concession trailer, or set up a permanent donut maker or pancake & crepe machine in a food concession stand or store, we have the equipment and supplies to help you make money. Our machines are easy-to-operate, lightweight and portable and manufactured with pride right here in the heartland of the USA. All our machines provide what we call "action attraction" - the action of the machine as it cooks attracts customers to your location, and the wonderful cooking aromas will do the rest. Our carts, cabinets and kiosks come in bright colors with bold artwork and attractive stainless steel to showcase your operation to hungry customers. If you have your own logos we can arrange to have our cabinet 'wrapped' in vinyl to fit your motif, or to answer the needs of a mall or sports arena where you want to set up your operation. Lil' Orbits has been in the mini donut industry since 1974, and our machines are built with years of knowledge behind them. We are proud to offer a full lifetime warranty for all original owners of equipment purchased from our factory. We stand behind every machine we build, so you can be assured that your business is built around a reliable machine. Turning Donuts Into Dollars for over 40 years! Made in America, and operated in over 100 countries! Please note: Lil' Orbits no longer has parts available for pre-1996 donut equipment. We are not able to send out parts or provide service for any equipment with a production date prior to 1996. If you are considering used equipment, please contact us with the serial number stamped on the machine and we will help you determine its production date.